Born February 12, 1877, at Logan, Dearborn County, Indiana. 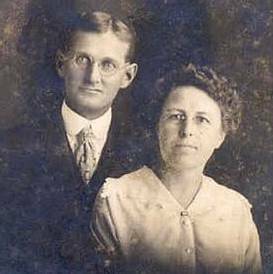 Married December 24, 1903, at Spearville, Kansas. Frank and Bertha cared for Bertha and Viola Bowyer after the death of their mother.